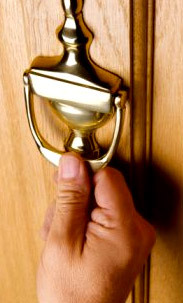 Metropolitan Locksmith provides a full range of Hardware. For more then 20 years we have worked with the best manufactures delivering quality products to all New York. We customized doors to your needs, we have all type of doors for home, office, fire door, Decorative Hardware glass door and we repair doors Request a discount by email. If you need new door or repair for a door Metropolitan we have all of our doors can also be customized to your specific needs. Whether your looking for a special color, Request a discount by email a round top, French doors, or just a custom size, we can make the modifications necessary to achieve the look your after. Metropolitan Locksmith skillfully installs and repairs exterior,Request a discount by email interior and industrial doors for residential or commercial use. We stock wood, metal, Kalamein and fire rated wood doors for your needs. In addition, Decorative Hardware doors are available in all sizes, styles and finishes. Below is a sample of our custom built door structures Request a discount by email. All of these doors can be custom cut to fit any of your commercial and residential needs. click here to request a Decorative Hardware quote.